Shake Shack was ahead of the curve last year when the fast casual opened a location where all ordering and payments were done through self-ordering kiosks. Apparently, the test did not go as planned. Instead of things being done more efficiently, the lines were out of control. But Shake Shack isn't completely abandoning the idea. The chain will be implementing more kiosks at its stores and will be pairing them with cashiers. This will give the customer the option to use a kiosk or to go to a Shake Shack team member at a cashier. There are now five Shake Shack stores with kiosks. Panera, Wendy's and McDonald's, and Jack in the Box have all invested more in kiosk technology and less into staffing, especially as the minimum wage increases. With the various impending minimum wage hikes, the fast food industry is looking for ways to alleviate some business operating costs. Kiosks and other technologies streamline day-to-day operations and are solely used by the customer. 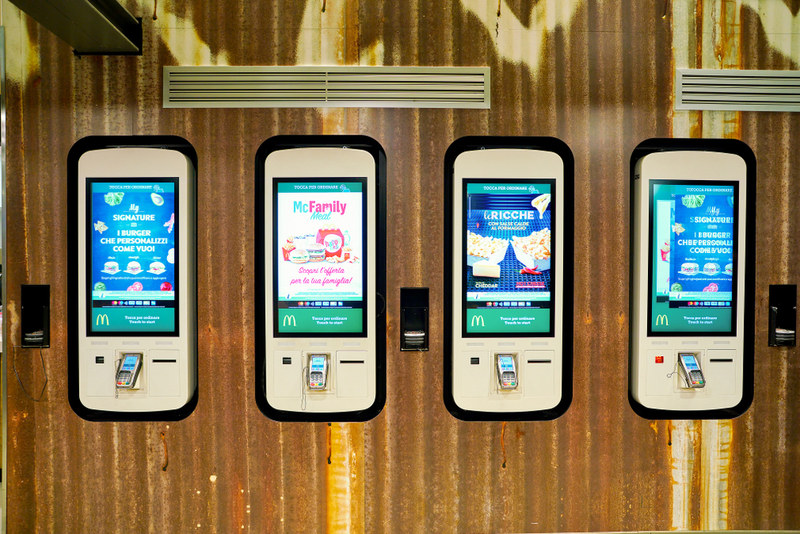 According to analysts, the kiosks at McDonald's have saved the fast food giant $2.7 billion in sales. The chain plans to add kiosks to 1,000 stores every quarter over the next two years. Shake Shack, like most restaurants, is struggling with the spike in labor costs. In the second-quarter earnings, Shake Shack said that labor costs have increased year over year by 26.3 percent. “We are learning how the kiosk experience changes the flow in the front-house, the extent to which we are back to speed at service, kitchen throughput, how it best enhances the guest experience, its ability to deliver labor leverage in the future and how ordering behavior may be impacted,” said Randy Garutti, Shake Shack CEO. Will all Shake Shack stores someday have kiosks? Read more about the self-serve kiosks at Shake Shack at "The Spoon" now.